For clients on the go, no time to spare or on a budget, we’ve gathered our mini treatments on this page. Let us help relieve sinus pressure, headache & neck pain due to seasonal allergies with hot eucalyptus towels for sinuses & respiratory muscles, decongesting & anti-inflammatory essential oils, Eminence Organic Skin Care's eucalyptus cleanser, facial recovery oil & pressure point warm & cold stone massage for sinus relief. Then we finish it all off with a cool gemstone eye treatment! Suggested Sinus Blend = Eucalyptus + Lemon + Pine!!! This body treatment starts with a gentle organic sugar exfoliation of the legs leaving skin smooth and revitalized. The Fire” in the Fire & Ice treatment, is the application of Eminence Organics Herbal Cellulite Treatment, a professional use-only product. This hot product contains paprika and stinging nettle to create a heating sensation that leaves the skin glowing, not suggested for sensitive skin. After removing the hot treatment, we then incorporate “The Ice” through deep tissue massage and cool towels followed by light massage with a non-stimulating organic body soufflé. This relaxing massage will also help cool down the skin and improve the appearance of firmness. To top it off, service includes a neck, scalp & foot massage! Caring for your skin at home is essential to maximize the benefits of your Eminence Fire & Ice spa treatment. Between spa visits, we recommend using award-winning Eminence Organics Coconut Sugar Scrub to buff the skin and our best selling Coconut Firming Body Lotion to improve the appearance of firmness. Time to detox with a customized hot stone massage for back, feet and legs followed by detoxifying sea salt wrap along spine and feet. Benefits: stimulates circulation, soothes sore muscles, helps to removes toxins and helps lower blood pressure. Perfection in this ultimate de-stresser. Receive an intensive hot stone massage customized with body shots of herbal oils to the neck and back, with the option of feet or arms while you're receiving our most popular hot oil, herbal Tame the Mane hair and scalp treatment. Tame the Mane hair and scalp treatment: Based on specific energy lines and pressure points, this treatment focuses on the head, and scalp offering deep relaxation. Essential oils are selected to help calm and quiet the mind as well as to relieve stress and tension from the body. An olive oil based serum created especially for hair is applied while we work our wonders on head and shoulders. This massage heals & invigorates tired feet, beginning with a hot stone massage with warm peppermint oil, followed by a soothing sugar scrub and then a warm moisturizing mint mask leaving skin soft and sore feet rejuvenated! Then we massage your scalp & lather your locks with our signature "Tame the Mane" hair and scalp serum enhanced with Peppermint & Tea Tree Essential Oils. 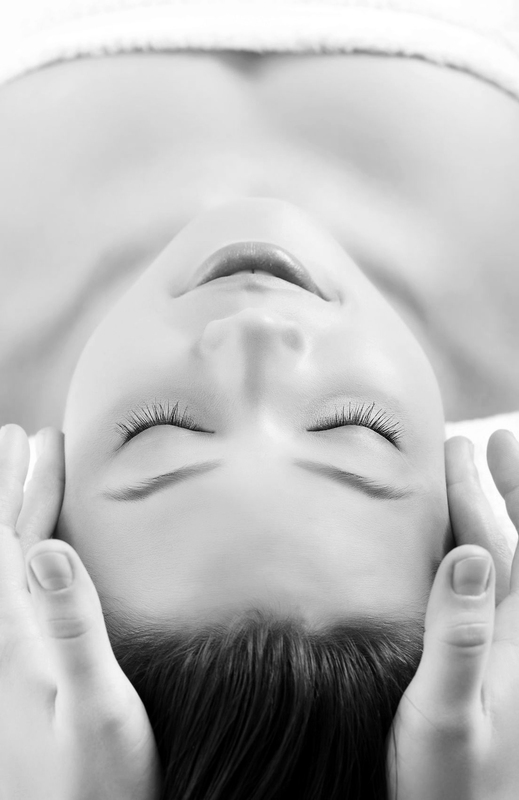 Based on specific energy lines and pressure points, this treatment focuses on the head, and scalp offering deep relaxation. Essential oils are selected to help calm and quiet the mind as well as to relieve stress and tension from the body. While we let it sit, we work our wonders on your head neck & shoulders with a heavenly hot stone massage! a muscle melting quickie massage for people on the go - get rid of stress fast! energetic blockages, your therapist blends hot stone massage and aromatherapy to bring you to a state of inner harmony and balance. Several essential oils carefully chosen for their healing properties are dropped along the spine. The back is heated to allow the oils to absorb thoroughly as a deeply intensive customized hot stone body massage melts your muscles. A get you going and glowing facial targeted just for you.